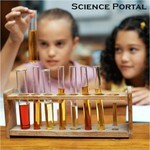 Access to all 6th-grade science materials by National Performance Standards. Construct, use, and present arguments to support the claim that when the kinetic energy of an object changes, energy is transferred to or from the object. Construct a scientific explanation based on evidence for how the uneven distributions of Earth's mineral, energy, and groundwater resources are the result of past and current geoscience processes.